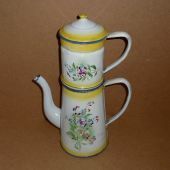 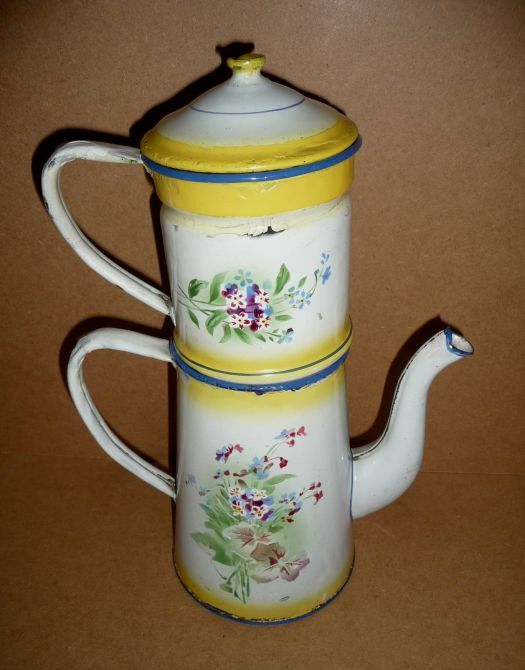 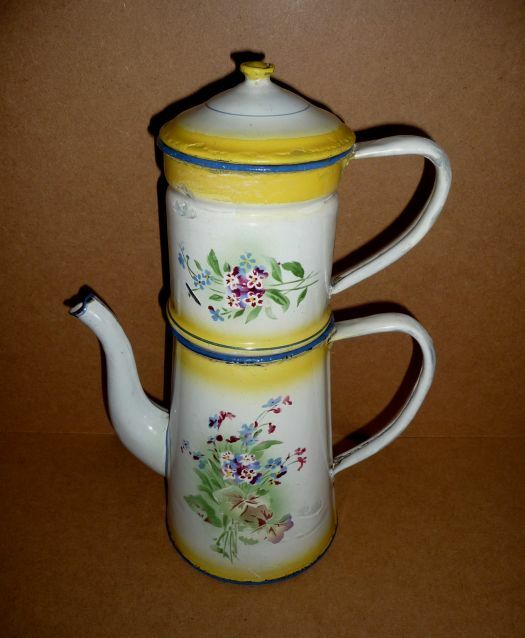 Large enameled floral coffee-biggin, yellow shaded. 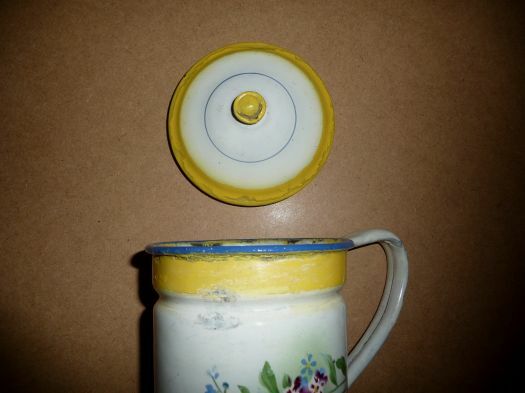 There are some chips, chiefly on the handles and the lid ; no chip in the design ; chips have been covered with paint. 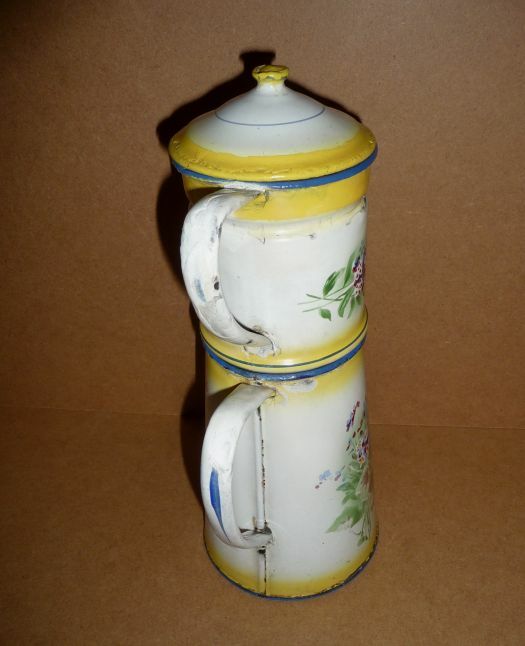 It is a pity about the chips and paint but it remains a nice decoration and yellow color is interesting.